Concert as part of the Jazz School concept at the "Jazz à Ouaga" festival. A coproduction by La Boîte à Musique and Association Jazz à Ouaga with the support of Spedidam. 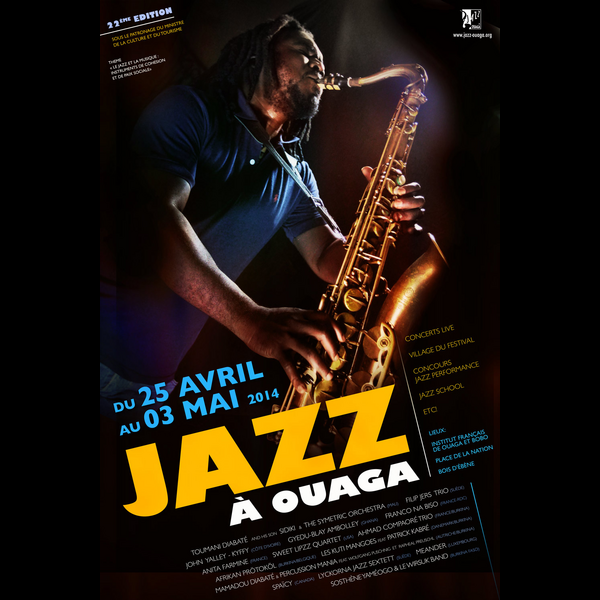 Jazz à Ouaga, it is not just musical performances. The festival organisers have brought a touch of innovation to the event. Instead on staying confined to concert venues, Jazz à Ouaga now moves on to new grounds seeking to conquer the young generation which ignores the history of jazz and still has some misgivings about it. That is how the Jazz School concept was created to explain this musical genre to secondary school pupils and college students.